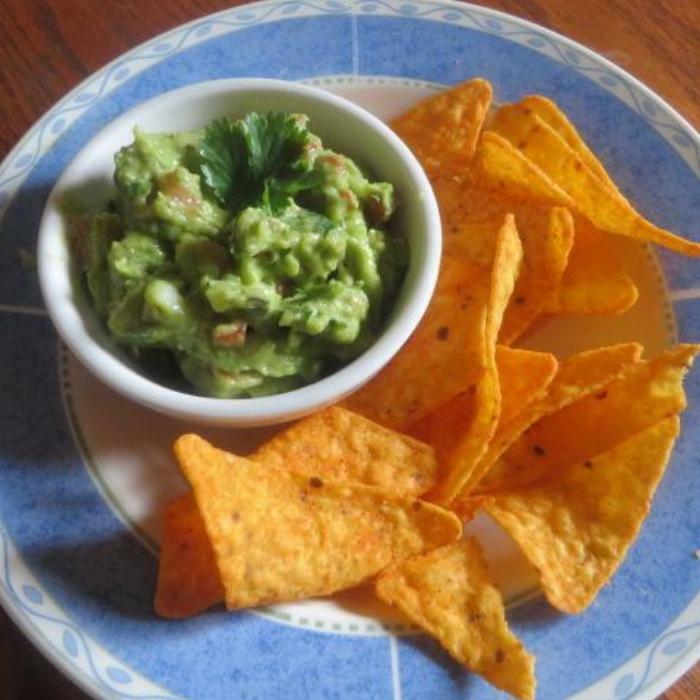 Great dip with your favorite tortilla chips. Not spicy hot, just so flavorful! 1Peel and mash the avocados. 2Add the lime juice and mix well. 4You can adjust the seasoning to taste, of course! 5Serve with your favorite tortilla chips or corn chips or serve with chimichangas!